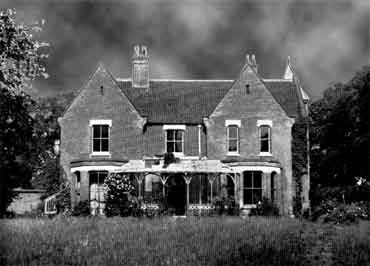 A sighting on the Rectory lawn, 28th July 1900 was reported by the four Bull sisters. Again seen in November by Miss E. Bull, in garden. Also seen many times by Mr. and Mrs. Cooper of the cottage next to the Rectory. Seen by Fred Cartwright four times in 1927, ‘standing’ at the Rectory gate. During his visit with Price the nun was seen by V. C. Wall. Harry Bull seen by Marianne. He manifested in the Blue Room during a séance. Coach and horses seen by Mr. and Mrs. Cooper between 1916 and 1919. Mrs Cooper describes the horses as having glittering harnesses as they swept across the Rectory grounds. Also seen by Miss Mary Pearson, sometime prior to relating the incident to Price on 12th June 1929. Black shape seen by the Coopers in their bedroom, 1919. A mysterious light seen by reporter V. C. Wall on June 10th 1929.